Federal officials have been openly discussing a registry program for people of certain faiths and national origins (specifically Muslim, Arab, and South Asian Americans), and has sought to outright ban travelers and immigrants from certain countries based largely on the predominant religion in those countries. 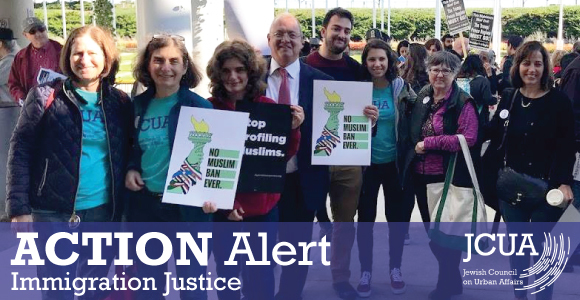 Call your legislators TODAY and demand they take a strong stance against any registry program in Illinois that would single out any group of Americans based on their race, ethnicity, ancestry, national origin, or religious belief by passing SB 3488. 2. Call your senator. Click here for a script. 3. Fill out JCUA’s Report Back Form and let us know how it went!